I waited patiently for Yahweh. It was King David who wrote this psalm. He was a man who knew a lot about learning to be patient in the midst of extreme hardship. As a teenage boy, he was anointed king of Israel by the prophet Samuel, only to then wait many years to see it come to pass. In between the promise and the fulfillment there was much heartache and suffering. Not long after the promise, things were looking good for David. He slayed a giant named Goliath, married the king's daughter and was a national hero in Israel. Then for reasons outside of David's control, his father-in-law, King Saul, became jealous and decided to hunt David down to kill him. For many years, David was on the run, hiding in caves and hanging out with some of the most disreputable men of the day. But then a series of events happened that made him king of all Israel. After much heartache and disappointment, David finally saw the fulfillment of God's promise that he would one day become king. 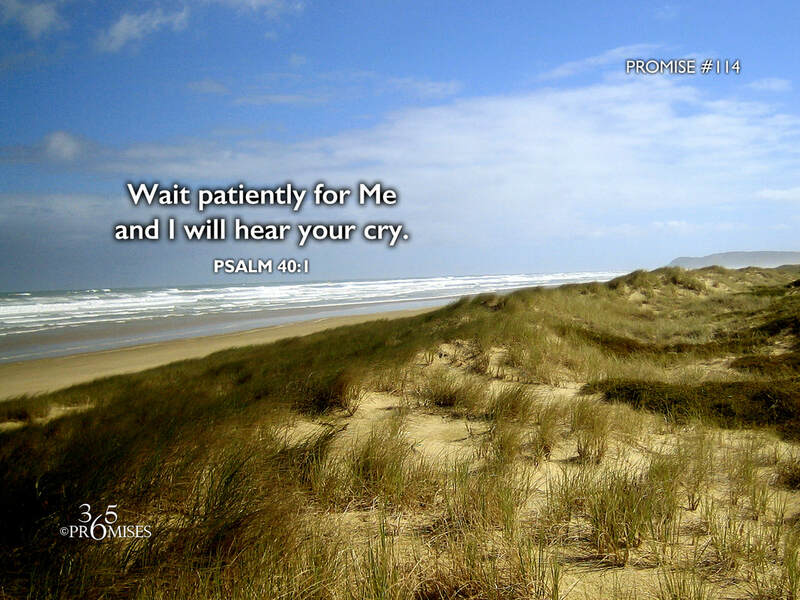 So when David says, I waited patiently for the Lord and He heard my cry, he knew what he was talking about. No matter what trials you are facing today, God is faithful. As we continue to look to Him to fulfill all the promises He has made to us, may we find strength and encouragement in today's promise... Wait patiently for Me and I will hear your cry.